I'm tired of getting tool recommendations from the people who market the tool. Wouldn't you rather hear recommendations from people like you who actually use the tools? 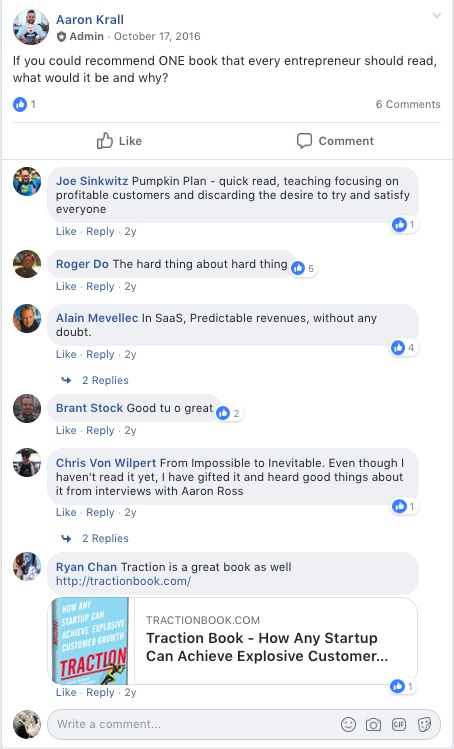 Wouldn't you rather hear recommendations from business marketers and owners like you who have tried everything and landed on the tools they prefer the most, and can explain why? 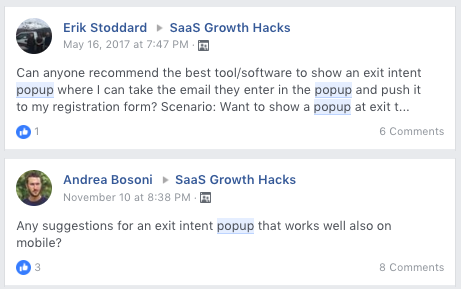 Luckily, I'm a member of an awesome group on Facebook, Aaron Krall's "SaaS Growth Hacks." With almost 11,000 members, it's one of the most active (and non-spammy) groups out there. 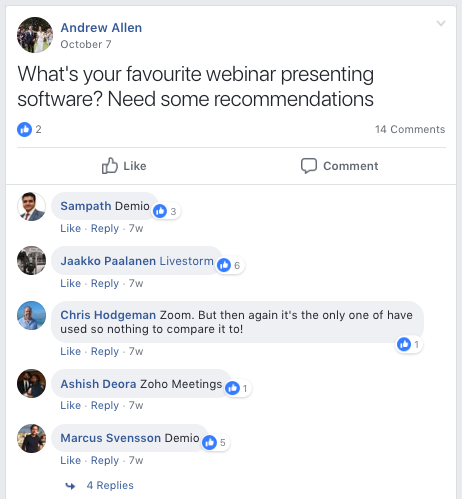 More often than not, the conversation in this group revolves around a single question: "I'm looking for a great competitor for Salesforce/Mailchimp/GoToWebinar/Hootsuite/etc. Can anybody recommend?" The replies are numerous, and from marketers looking to genuinely help out. Here are the top answers to 16 of the most frequently-asked tool-based questions. A good analytics tool usually makes the difference between a business which succeeds and one that fails. Pitfalls can be avoided. Successes can be repeated, but only if you can see what you're doing. Without a good analytics tool, your business is just fumbling in the dark. Amplitude has a free plan for 10 million actions/month and unlimited seats. For behavioral reports, you need to contact them. HeapAnalytics has a free plan for business with less than 5000 sessions per month. Their paid plans start at $299/month for 25,000 sessions and 5 users. At Wishpond, we love Woopra and have for years. But we're always open to change if we can find a better tool! Like analytics, a good split-testing tool makes all the difference in your business' success. Effectively optimizing your website experience means you can affect the chance of a conversion. Without testing, you either A) Are never able to optimize for conversions, or B) Try a new design or flow, but can't be sure if it's actually won or if you're actually damaging your bottom-line. All of VWO's pricing plans depend on the number of impressions. However, as Wishpond actually uses VWO, I can tell you it's more reasonable than most other tools (including, for instance, Optimizely, from whom we switched). Google Optimize is free, and that makes it dangerous. For advanced marketers, there's still a few things lacking, but (perhaps) not for long. Omniconvert is free up to 50,000 tested views, which makes it a great middle-ground between Google Optimize and all other paid platforms. However, you won't get support and have limited segmentation. Their paid plans are a "contact us" deal. My team just needs a lite CRM for sales flow. We are using Close.io but we fund it clunky and it lacks all mobile experience. 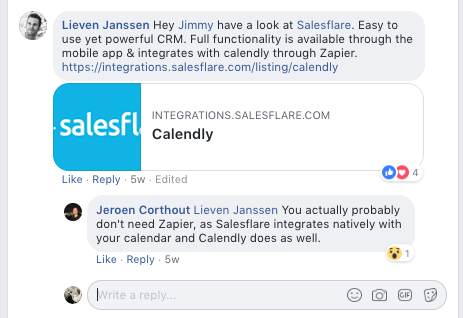 I'm testing Insightly now, I love it, but I hate the lack of integrations making it difficult to get these inbound booked demo's that we do to coordinate with Calendly. So.. my question is.. what CRM would you recommend? Needs to be mobile friendly and lightweight. Pipedrive, on top of being recommended by a half dozen marketers in the group, is also the CRM Wishpond uses. That said, we haven't tried SalesFlare, so who knows for the future! I know it's not a tool, but this question gets asked quite frequently. And it rarely gets asked of people who are actually in the nitty gritty of building a business online. What's your favorite book, and how has it inspired you in growing your business? Perhaps the most commonly-asked question in the group, a good growth hacking/entrepreneurial podcast is a must for many online marketers. If your business has a slightly-longer sales process, a good email drip campaign can make all the difference. You want a platform which can automatically react when your prospective customers take an action (or don't). The more advanced your triggers and the more personalized the recipient's experience, the more likely they'll be to buy. Wishpond stars at $49/month, with 1,000 contacts and unlimited email campaigns. We also have a full lead-generation suite with over a dozen different tools to turn traffic into contacts. Drip starts at $49/month, with 2,500 contacts and unlimited email sends. GetResponse starts at $15/month, with 1000 contacts and unlimited users. Learning more about your customers is never a bad idea. A good NPS tool (net promoter score) enables you to get insight into the experience your website visitors, users and customers are having on your site. AskNicely is $299/month, up to 5,000 surveys. Survicate is free up to 50 responses per month, and $149/month for unlimited responses. Advocate.ly's pricing is available upon request. 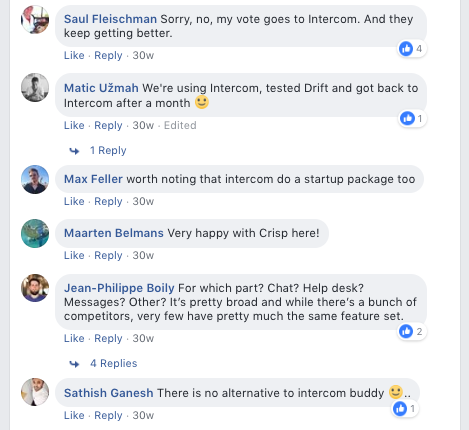 If you can't see that, 60 marketers responded with "Intercom" when asked for an alternative. 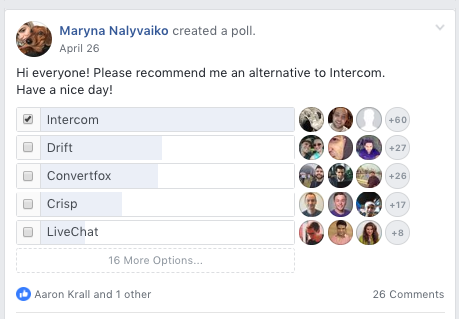 Intercom starts free, and goes up as you add to the number of "Seats" (users) and "Active People" (leads/customers contacted). Onboarding your new customers well increases retention, usage, and your ability to upsell down the line. Unfortunately, it can be a complicated thing. You need to onboard people at their own pace, as shoving your platform down their throat can lead to free trial abandonment, skyrocket churn, and drop recurring revenue. These are the tools most-frequently recommended by the growth hackers from SGH. Chameleon starts at $99/month, for 2,000 monthly active users. Their $199 plan has A/B testing, conversion tracking, no branding, and custom CSS. Userpilot starts at $99/month for 2,500 monthly active users. Their starting plan includes A/B testing, goal-tracking, and behavior-triggered communication. Whatfix pricing is available upon request. Your customers will have questions, and not answering those questions in a timely manner can often cost you a sale. 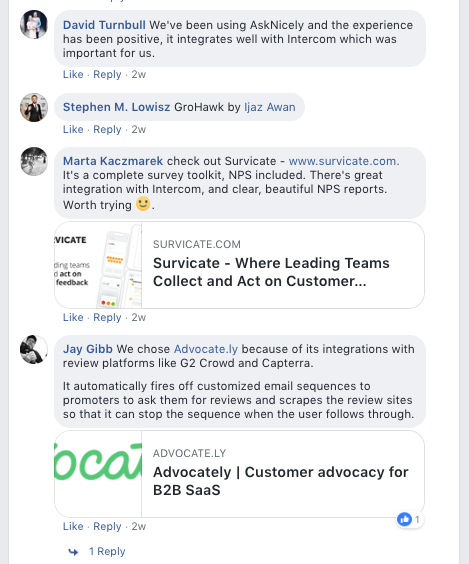 So the right help desk software - offering triggered chat, a knowledge base, or even (our favorite) automatic replies based on keywords in a question - can be the difference between a long, profitable relationship with your customers and a short one. Zendesk's full suite starts at $99/month/user, with different elements (like their "Guides" or "Chat") available separately for less. Freshdesk starts free for email communication, basic social, and a knowledge base, but no chat. Their paid plans include time tracking, advanced social media and session replays. LiveAgent starts at $9/month/user for their email option, and $29/month/user for their chat option. At Wishpond we don't use email-scraping tools, but for many SaaS businesses they're a huge driver of sales. FindThatLead starts with a free plan, for 50 searches (but no export). 18,000 searches will cost you $120/month. All their plans feature a Google Chrome plugin, enabling you to get emails from social media. Hunter, like FindThatLead, starts with a free plan, and costs about $180/month for 20,000 searches. Prospect starts at $140 for 1000 credits. They differ from the platforms above in that they offer email. Find 1 email address on a prospect's website or on a professional network profile. Verify an email address (check if an email address is deliverable or not). This is by no means the most exciting part of marketing a business, but it is one of the most essential. Without a sound bookkeeping tool (and someone who knows how to use it), let's see how long your business stays afloat. Note: The bookkeeping tools recommended below are focused on their compatibility with Stripe - which is currently in a league of its own when it comes to payment platforms for SaaS. Xero starts at $30/month for unlimited payment processes. To handle multiple currencies, though, you'll need the $45 plan. Zoho Books is $18/month for unlimited contacts, 10 user accounts, and 10 automated workflows. Bench starts at $95/month for businesses with less than $1,000 in expenses, and $295/month for business with over $1m monthly expensses. They are a bit more expensive than the options below, though all their plans have a dedicated bookkeeping team to handle everything for you. Landing pages and popups increase the chance that a website visitor completes your desired conversion. That's just fact. They help you direct attention, and increase the chance that someone will see the value of buying from you. So finding the right tool to make them quickly and easily, is essential for a time-strapped marketing team. Wishpond's landing page and popup builder, with over 150 industry-specific templates, starts at $49/month for unlimited published campaigns. All plans also include email marketing, automation, and integrations with over 300 other tools. Unbounce's plans start at $79/month for 75 landing pages and 8 popups or sticky bars. To get integrations with the leading CRMs, Unbounce goes up to $159/month. This was actually the question which started this whole article off. Demio's plans start at $34/month for 50 live attendees, and $69/month for 150. Demio is the platform we use for webinars, and we love it. Zoom's plans start at $46/month for 100 participants. Keeping your team on track with deadlines, responsibilities and project updates is a must - without a good tool to do so, even small teams can get off-track. And that costs you time and money (neither of which your average growth hacker has in spades). Plutio starts at $30/month for 5 teammates. Additional users are $2. Apointly's meeting scheduling software is free. If you want multiple types of meeting or a team dashboard, plans start at $10 (monthly) or $8 (annual). Many people answer the same 'ol tools (there are a few dominating social media management tools which I'm sure you already know). So the ones I've included here are the non-dominant up-and-comers - the tools recommended by people who have used the big boys and chosen to move. Social Pilot starts at $25/month for 50 social media accounts, bulk scheduling and analytics. Reports are branded, and you don't get a "social inbox," though. Sendible is $90/month, and runs on what they cal "services:"
"A service is a one-way interaction with any Social Network. You may need multiple services per social account. For example: Posting and streaming to 1 Twitter handle would count as 2 services." Agorapulse starts at $50/month for 3 profiles. They also have a Chrome plugin, which is quite handy, and additional profiles can be added for $15. Hopefully the tools recommended by these marketers and growth-hackers can help you grow your business online. 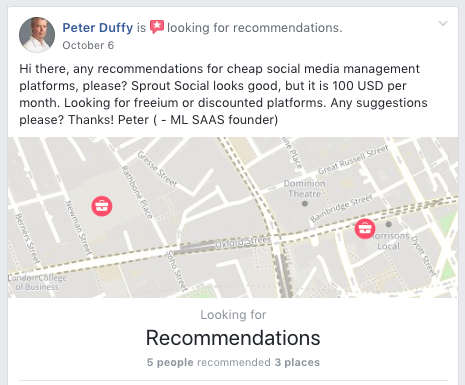 And, hopefully, hearing these recommendations - rather than from the biased marketers who market these tools - means the recommendations carry a bit more weight. We use many of these tools ourselves, so if you have any questions don't hesitate to reach out in the comment section.